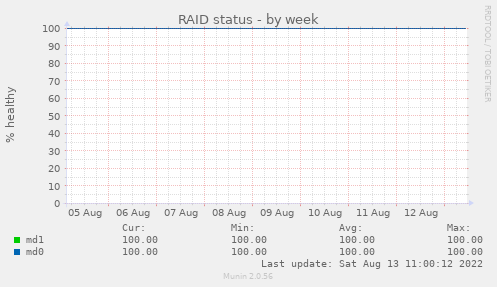 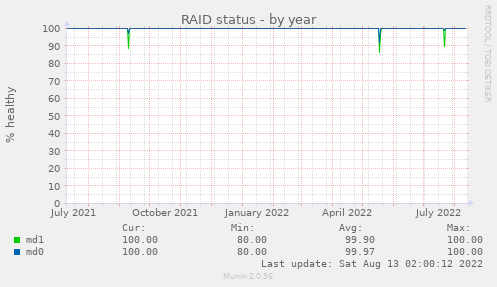 This graph monitors RAID disk health. Values are percentage of healthy drives in each raid group. 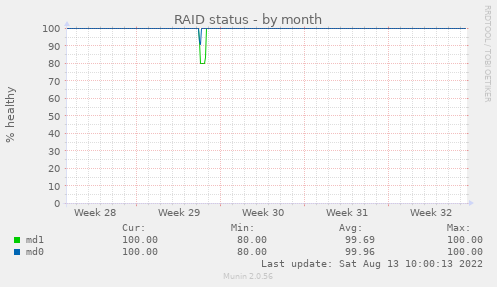 Degraded devices are marked Critical.